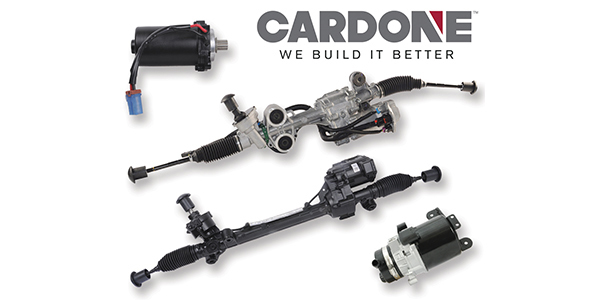 CARDONE Industries has unveiled an expanded product line of remanufactured electronic power steering (EPS) solutions designed to meet the impending tidal wave of demand as more automotive manufacturers transition from hydraulic power steering to EPS. Fuel efficiency was a primary driving force behind the market shift from hydraulic to electric power steering nearly a decade ago. Anticipating the growth in demand, CARDONE launched EPS in 2016 with the Ford Fusion, which remains the top seller. Since then, CARDONE has added more than 40 additional EPS products. CARDONE’s current focus is Rack-Assist EPS but intends to expand with more Column-Assist and Electro-Hydraulic-Assist technologies in 2019. For more information on CARDONE’s EPS product line, click here.